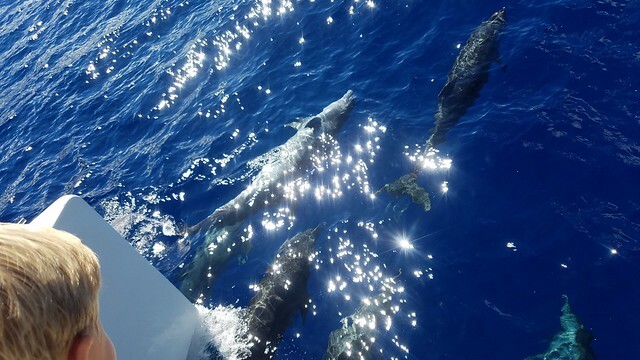 On the west side of Oahu one of the special tours that are offered is the dolphin watch tour. 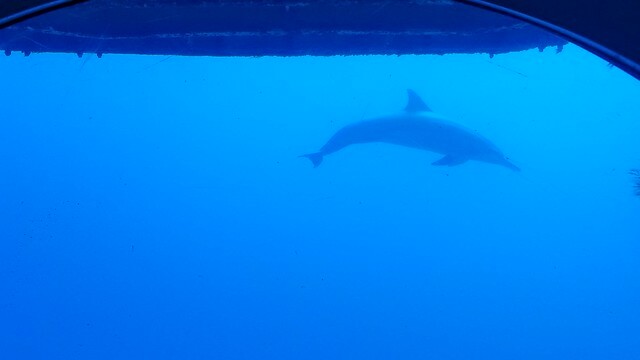 It is very rare to go out on that tour and not see dolphins. The south side of the island which is where Waikiki is the situation is much different. Dolphins are often seen but not like the west side of the island. A typical example is I may see them a few days in a row and then go a week or so with out seeing them. I do not know why there is such a difference but after asking many scuba diving Instructor’s opinions the consensus is that there is probably more food on the west side. 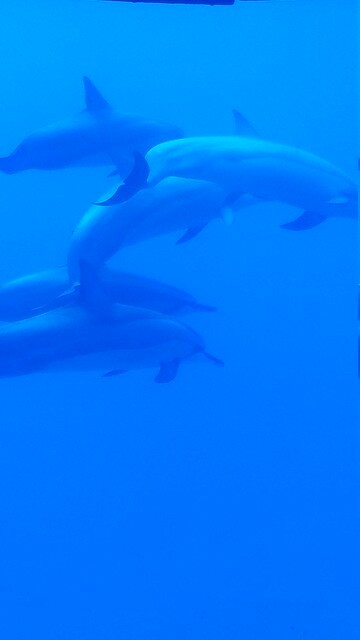 The dolphins that I often see are either spinner dolphins or the larger bottle nose dolphins. As their name shows, the spinner dolphins jump out of the water and spin while the larger bottle nose dolphins will also jump but will not spin in the same way.